Melanie, of Catbird Quilt Studio, started a conversation on creativity. The comments and thoughts of other bloggers has been informative and thought provoking. Tierney, of Tierney Creates, has also contributed to this topic; and she has even posted a peek into her creative journaling process. This encouraged me to share a look at my journal. Keeping a journal is an internal communication for me. I am a visual learner, and I need to “see” my thoughts and designs. I use a graph paper composition book for my designs and ideas. These journals have handmade covers. I also keep a journal to post photos or actual pieces of my work. I add the story, inspiration, and process for each product. Should I? …or… Shouldn’t I ? 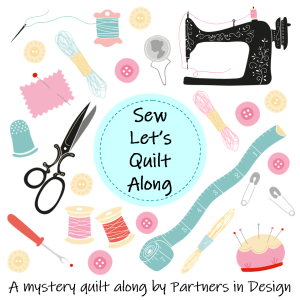 Ever since I read Melanie’s post (Catbird Quilt Studio) about creativity and The 100 Day Project, I have been thinking of ways to be more productive and creative. It is so inspiring to see what my blogging friends are doing. The thought of doing something for 100 days sounded intimidating and too structured. Then I thought, maybe I need that structure. The project gives permission to miss a few days. After mulling this over for a while, I decided to go ahead and do the 100 Day Project. It starts today, and I will be out-of-town for the rest of the week. I decided my project would be to work on small pieces or blocks each day. These pieces could be thread sketching, improv blocks, regular blocks…just any type of block. I am cutting a 10 inch block, and will be thread sketching in an 8 inch block area. This block can be pieced to make a larger block, be the center of a pillow, or a tote…many possibilities. Today’s entry is a selfie thread sketch. I do not know if I will eventually paint the fabric or not. I entitled this self-caricature, Enjoying Life.